Only 22 days and counting until the 2013 Battle of the Paddle… On September 28th & 29th hundreds of paddlers from all around the world will converge on Dana Point, California for the sixth annual edition of this iconic SUP race. BOP 2008. 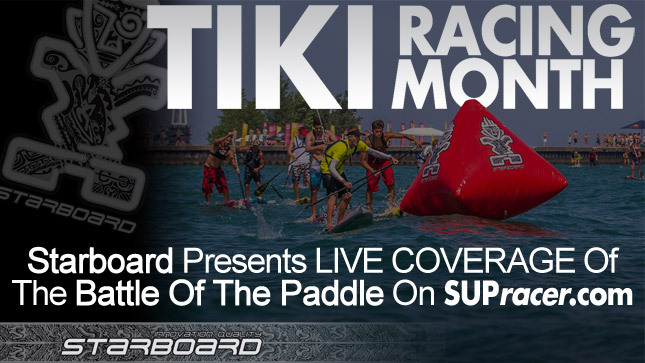 This was the event that kicked off the whole SUP racing revolution. Back then the sport was still totally in its infancy. Everybody else in the water still thought of Stand Up Paddling as some bizarro form of surfing on giant, oversized surfboards, with an even more bizarro group of guys trying to race on those giant surfboards… SUP surfing wasn’t even accepted yet, let alone SUP racing. In fact the sport was so new that up until this day (October 11, 2008) there wasn’t even such a thing as the 12’6″ class. The Battle of the Paddle invented it right then and there. So this is the day Stand Up Paddle racing became legit. Granted there’d been guys racing on SUPs as far back as 2004, but up until the 2008 Battle of the Paddle it was pure novelty. The BOP set the standard on that day and has largely continued to do so for the past five years. So what went down on that fateful Saturday afternoon in Southern California? Well, as any die-hard SUP racing fan will tell you, the first ever Battle of the Paddle was won by none other than Mr. Chuck Patterson. That’s kinda written into Stand Up Paddling folklore. Also winning way back then was Jenny Kalmbach, who took out the women’s Elite Race ahead of a young Candice Appleby. And just look at some of the other names on that results sheet, there’s a whole bunch of SUP racing stalwarts who were there… Those guys and girls definitely deserve our respect for being there on “Day One” of the sport. Interestingly, the prize money back in 2008 was $25,000, the same as 2013. For the past five years that’s been an unmtched, most-lucrative-prize-purse-in-the-sport figure, meaning the Battle of the Paddle obviously went big right from the start. So there you go. The 2008 Battle of the Paddle. Where it all began. But for those of us that weren’t around that landmark day, fortunately the moment was captured on video, so we searched YouTube and found a couple of good highlight reels. So without further ado, here it is, video footage of the first ever Battle of the Paddle (oh and scroll past the vids for the FULL RESULTS from the 2008 Elite Race – total memory lane trip). One of the smoothest edits we could find of the first ever Battle of the Paddle. Slow mo footage and all. It’s also available in HD (yes, apparently HD existed five years ago). This one is the kicker though: The 2008 Battle of the Paddle Elite Race with voice-over commentary from none other than Chuck Patterson himself. It’s like some bonus easter egg you find on your favourite DVD. Check him out at the 1 minute 05 second mark – looks like the freakin’ Terminator in those sunnies. Looking at those vids I can’t help but notice: Just how many non-race boards were used in the first year?! You’d never see anything but a slick-looking 12’6 in the Elite Race these days, but back then guys were on all sorts of shapes. Classic. You may also have noticed that the course was totally different in the first year. The famous “M-Shape” course didn’t debut until 2009. Back at the first event it was a simple rectangle course (with plenty of wind to make things difficult). So there you go. That’s what the 2008 Battle of the Paddle looked like. There are plenty of famous names in there: The Mad Scientist came home 5th, a (very) young Slater Trout finished right beyond San Clemente stalwart Colin McPhillips, Dan Gavere got top 10, Rob Rojas paddled something other than an Unlimited, Andrew Logreco paddled the most stylish board ever to grace the Elite Race (the fluro orange thing), while plenty of other BOP regulars can be found on the inaugural results sheet as well.